This rare map is a close copy of the Ramusio-Gastaldi copperplate engraved map of 1563, but has a text box in the upper right corner. The map shows extensive information on the Portuguese ports on the east coast of Africa. It was published by Ferando Bertelli in 1565 as a separate map. It also appeared in Italian composite atlases from this period. 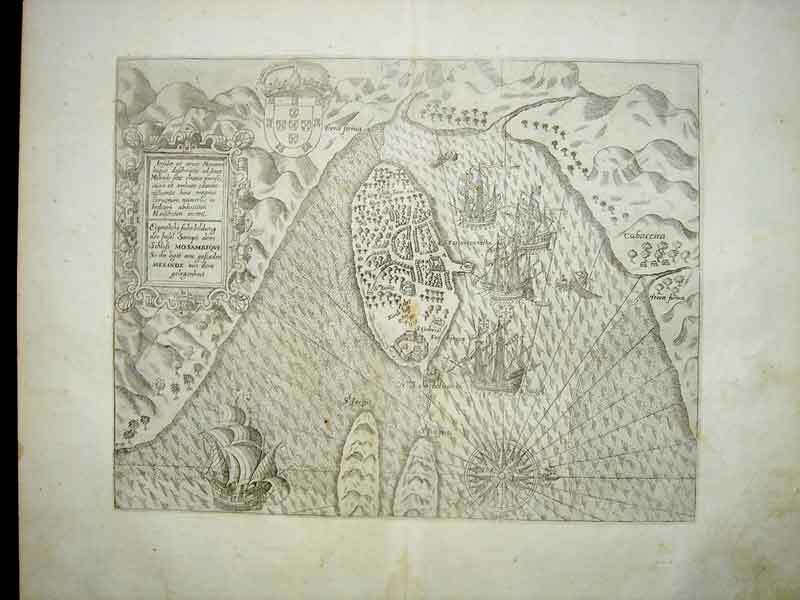 The copperplate that made this map was engraved in 1564 by Niccolo Nelli. (Betz # 10). 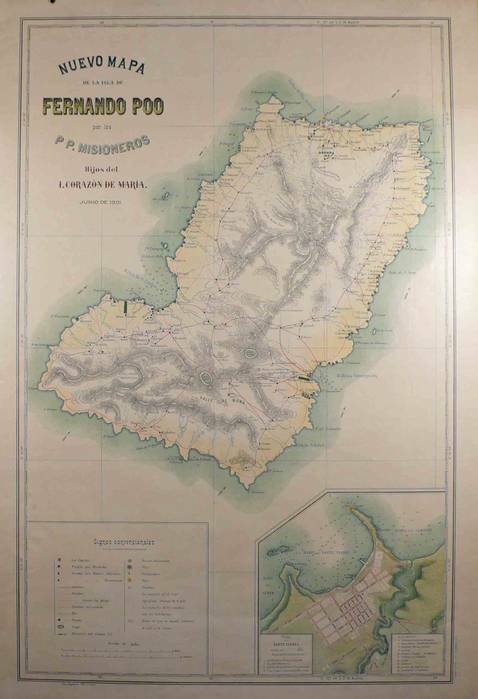 Large and very detailed missionary map of the island of Fernando Poo, in the Gulf of Guinea (westcoast of Africa).